India. It wasn’t a place that I had my heart set on visiting and like many Americans, I knew very little about the country. I was acutely aware of the Taj Mahal and I had seen Bollywood movies and certainly loved curry, but beyond those symbolistic icons I’d have to claim ignorance. But therein lies the motivation for venturing into unfamiliar corners of the globe and the search for new perspectives, knowledge and cultural enlightenment. 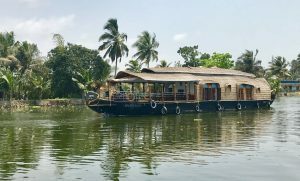 There is no painting India’s metropolitans images as pristine paradise but from a cultural perspective, a visit to the southern reaches of the country for an India river cruise is truly a spectacular eye opening experience. 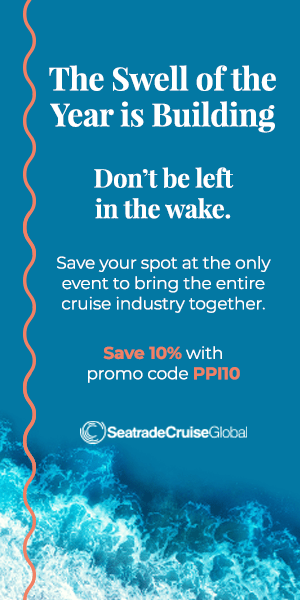 Cruise lines routinely call at ports the likes of Cochin, Goa and Mumbai and river cruises on the Ganges generally depart from Kolkata, but it’s the lesser known area of Kerala in the southwest tip of the country that exposes an amazing visual departure from the gritty ambiance of the larger urban centers. A seven or eight day land and water package initiates a fresh new image of the country’s bounty of tropical splendor. The journey starts with a well planned itinerary, perfectly curated by The Travel Planners of Kerala and enhanced by the youthful exuberance of our private driver Sumesh, an engaging personality rarely found on this type of organized holiday. A half day excursion of the gateway city of Ft Cochin explores the city’s mixed heritage of Portuguese and Dutch influence. The harbor’s coastline is dotted with the curiously concocted Chinese fishing nets still in use today and a short drive into the center reveals the bustling Jew Town, settled hundreds of years ago by Jewish foreigners. As with most itineraries of Kerala, the accepted travel circuit ventures eastward towards the region of Munnar. Here towering mountain peaks and free flowing rivers share the landscape with majestic tea plantations. 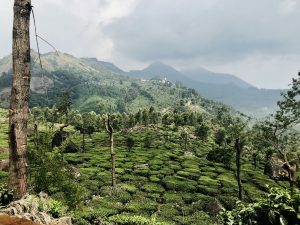 Visits to tea factories and roadside sightseeing play out with the day’s drive but set high in the mountains, The Fog Resort offers a scenic bonanza of incredible vistas of Indian paradise. The next segment of the itinerary travels to Thekkady, home to numerous spice gardens and the Periyar Tiger Sanctuary, home to over 1000 wild elephants, herds of Indian Bison and 45 tigers. An invigorating trek into the sanctuary along with a bamboo raft ride on a remote lake supplies a day of thrilling adventure and wildlife sightings. The area around Thekkady supplies over 75% of the world’s cardamon and an enormous variety of other spices. Two nights at the Greenwoods Resort allows opportunities to witness traditional martial arts demonstrations, cooking classes and dance performances, all on top of sampling some of Kerala’s traditional dishes of delight. 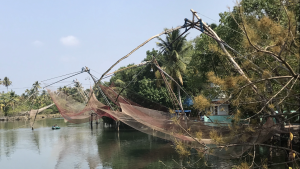 The final leg of the itinerary explores the canals and silky back waters that cloak the area of Alleppey. Here intriguing private houseboats, ply the narrow waterways on one, two or three night journeys of utter relaxation. Different categories of vessels are available but none more impressive than those of Xandari Riverscapes. Although the vessel’s canopied exterior is crafted out of woven bamboo and rattan resulting in a clever lattice style framework, the interior accommodations are awash in air conditioned luxury with en-suite bathrooms, king size beds and full size windows. The endemic aesthetic of the boat is in perfect tune with nature and complements the characteristic spirit of the region. As the captain navigates through secluded villages and rice fields, picturesque daily life plays out on the river banks. Absolutely delicious, regionally authentic breakfasts, lunches and dinners are prepared by the onboard chef as the mates of the boat look after every whim. If the allure of India enters into your travel playbook, a diversion to Southern India should be considered as an additional component. 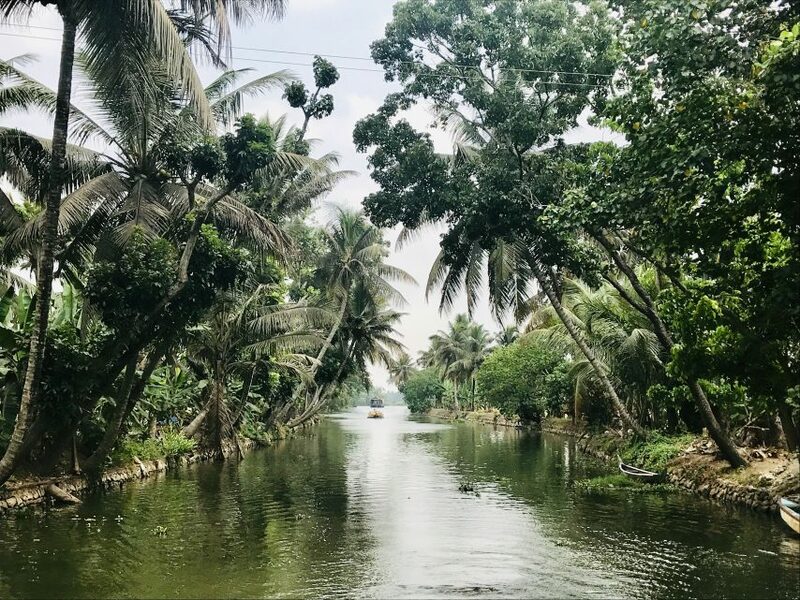 The region of Kerala is more than simply a state of the country, it’s an amazing state of mind induced by idyllic landscapes and colorful heritage.